Black Women have always been portrayed as the faithful Side Kick in most television programmes (or at best the female henchman, No. 2 to the baddie) so I was more than pleasantly surprised to watch Scandal. No Longer is the black girl the faithful side kick. Second best.The lovely Kerry Washington is the main character in a major TV production and she carries it of fabulously. The first time I saw Naomie Harris was probably in the TV adaptation of the novel 'White Teeth' but I loved her performance in '28 Days Later' and Small Island so much I have always been and will always be a fan girl. Here are some pics of our favourite bond girl! Black, British & Gorgeous! Taken from the pages of Style 101 Magazine! The secret to Jamaica's fountain of youth, is Sandra Gustard's Pimento Oil. 1) What does cleanliness and being ‘earth-balanced’ mean to you? To me (Lady English), cleanliness simply means being in a state of purity, untainted, unsullied… uncompromised! To be ‘earth-balanced’ means to be in harmony with God’s supply and provision for our sustenance, as ‘He’ intended; the desire to be at ‘one’ with nature, in its purest, unadulterated form! 2) Do your products reflect the way you feel about life and Mother Nature? Definitely! I only want to ingest and/or apply herbal, natural medications to my body; therefore it behooves me to want the same for my consumers! I pride myself on the fact that all of our products are chemical, additive and preservative free! Our product line is small, as I have to undertake research to ensure that any product that Cockney Finestyle, LLC releases, is only of the highest grade and cultivated in its natural state! Each bottle or jar is custom made, bottled [and] labeled by hand, there is nothing mechanical utilized in our process! 4) When did you embark on your journey of becoming an entrepreneur? Well, prior to migrating to the States, I was a freelance journalist, booking agent and artist manager (amongst other things), so I always knew I could sell music and people! However, in 1997, [after women] kept stopping me on the street and asking about my attire, I decided to sell clothes and shoes [out of] London! I sold my wares mostly at West Indian beauty salons, nail shops, etc., and did brisk-business selling as a ‘mobile boutique!’ I established Cockney Finestyle, LLC in 2001 (as it was my intention to open a chain of stores selling European fashions), but both the stores I had, failed, as the clothing sizes were just, too small for the majority of customer[s]. 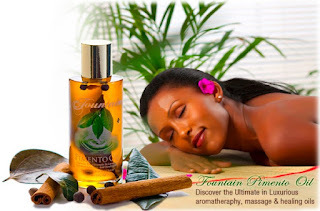 After a visit to Jamaica [in] 2008, I discovered Pimento Oil at Bath Fountain, a natural, mineral spa where people would flock to heal all kinds of sicknesses. I received a full-body massage (with Pimento Oil), and after that day, I felt like a new person. I had suffered permanent nerve-damage to my left arm, several herniated discs and a severely pinched nerve, for which I had been receiving cortisone shots. I approached who I thought was the creator of [Pimento Oil] and ordered several gallons of the ‘miracle oil,’ [but] when the container’s arrived in New York, I was horrified to find that it was a poor replica of the original! So, basically I just researched the ingredients, had my family send me the leaves, barks, berries, etc., and came-up with my version of ‘Pimento Oil.’ I literally, just cooked and soaked everything for 3 months… used it, and gave away many, many samples to people, to see if it did what it was supposed to do, and the rest -as they say- is history! 5) Where do you find most of your work materials and/or ingredients? All of the ingredients come straight from Jamaica, with the exception of the packaging. All of the botanicals in our products grow abundantly wild in Jamaica, without any assistance, other than real, Jamaican sunshine! 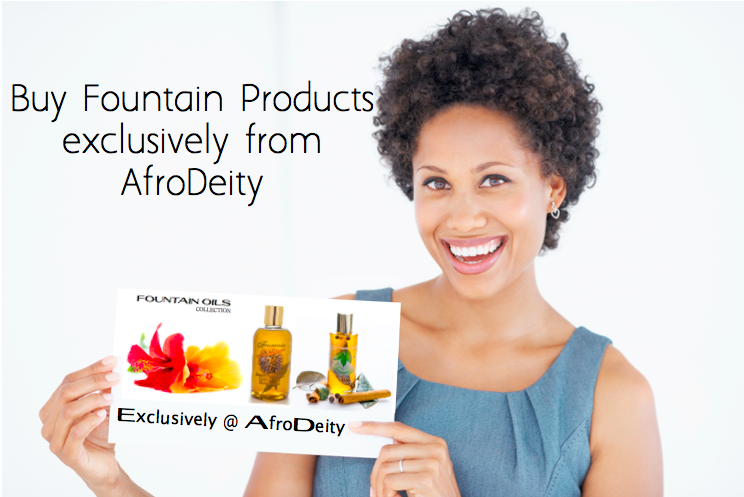 You can buy Fountain Pimento Oil, Jamaican Black Castor Oil Liquid Hair Food and other Fountain Products from AfroDeity! Every person has a fair chance of being afflicted with hair dandruff which causes hair loss, scalp itch, and other hair and scalp diseases regardless of age, gender, and hair type. In this article, we will tackle 3 organic remedies which you may use to cure and get rid of your hair dandruff in no time. Hair dandruff is a skin condition which can be attributed to excessive skin oil, irritation towards Malassezia yeasts and personal circumstances such as family history, shampoo usage, exposure to weather conditions, and stress. The most visible manifestation of hair dandruff are white flaky substances of dead skin which are typically found on the oiliest areas of one’s scalp. Due to the differences in the structures of a straight hair and curly hair, men and women with curly hair are more vulnerable to hair dandruff. The curly structure of hair strands gives a high degree of difficulty for moisture to travel along the hair, which makes it more prone to dryness. Also, the curly structure itself, which is susceptible to tangles and breakage, often brings damaging effects to the hair. Given that the vulnerability of curly hair to hair dandruff can be attributed to the dryness of the scalp, there are several practices which you may employ to avoid hair dandruff. You may not want to wash your hair frequently or regularly because washing will cause it to dry faster. For women, you may want to avoid the use of blow dryers; as too much heat can damage your hair and eventually cause dandruff. You may also want to lessen the use of hair styling products which contribute to the accumulation of oil on your scalp and have the capacity to leave damaging effects on your hair. Most people would rely on anti-dandruff shampoos to get rid of their hair dandruff. However, anti-dandruff shampoos are not the most effective remedies available. There are more effective organic alternatives which are worthy to look into. 1. Tea Tree Oil According to research studies, tree tea oil has anti-fungal properties which make it effective in controlling hair dandruff compared to other anti-dandruff shampoos. Tree tea oil controls flaking and itching and it leaves you with a less greasy scalp and shinier hair. But how does one apply tea tree oil? It is absolutely easy. Just add a few drops of tea tree oil on your shampoo, massage it on your scalp, let it stay there for at least five minutes, then rinse it thoroughly. If you have been using chemically-treated anti-dandruff shampoos for a while now and have yet to see positive results, you may want to try vinegar rinse cleanser instead. Made of organic apple cider vinegar, aloe vera and other essential oils, this cleanser has the ability to kill the fungi and bacteria which caused hair dandruff. The apple cider vinegar plays the role of preventing scalp itchiness and controlling dandruff, while the aloe vera and essential oils are responsible for taking care of the hair’s health. 3. Organic Shampoo Compared with the commonly ineffective anti-dandruff shampoos which are very abundant in the market today, organic shampoos have the capacity to reduce dandruff and enrich the health of your hair because it is made up of bio-enzymes and peptides which are reliable warriors against hair dandruff. The use of organic shampoos would leave your hair in a healthier and cleaner state. 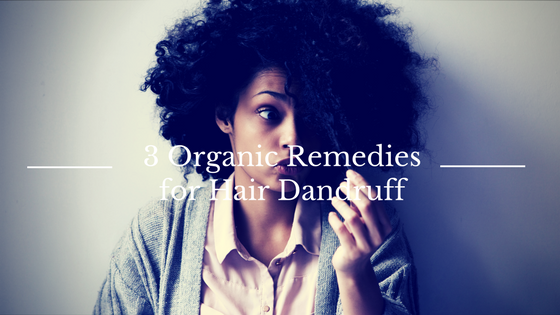 If you have been afflicted with hair dandruff and have been waiting to regain back your healthy scalp and clean hair, you may want to try out these organic remedies for lasting results. Strengthen your fight against hair dandruff through organic means! Author bio: +Axel Collins is a Hair Dresser, she is a freelance Hair Care Specialist. She is also a passionate advocate of preserving mother earth. Reading books and listening to alternative rock music are her hobbies. She's also fond of pet animals. I stumbled onto a Youtube video by Naptural85 earlier in the year regarding this products and I thought Wow those look great, where can I get one, and as usual being an American product I found them difficult to get a hold of. So I have been looking into where you can buy this in the UK. 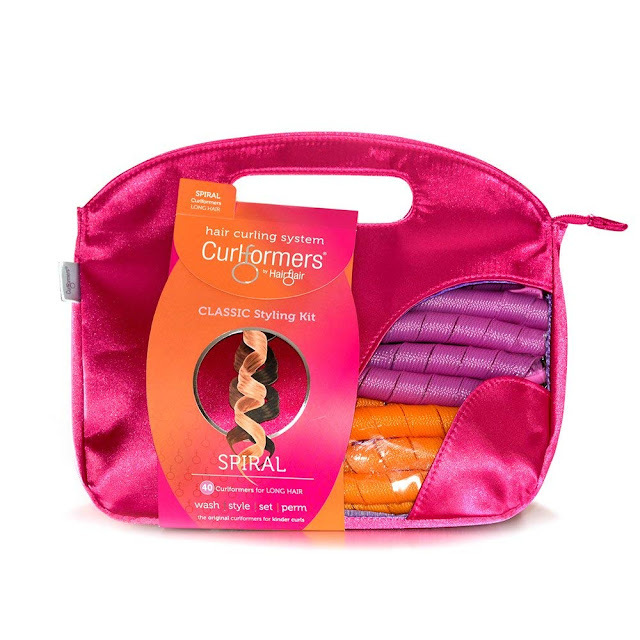 So what is a Curlformer? Curlformers are one of the latest tools to hit the market to help achieve curls (ringlets) without the use of heat. I love the idea of not using heat on my hair and still create a fabulous look. 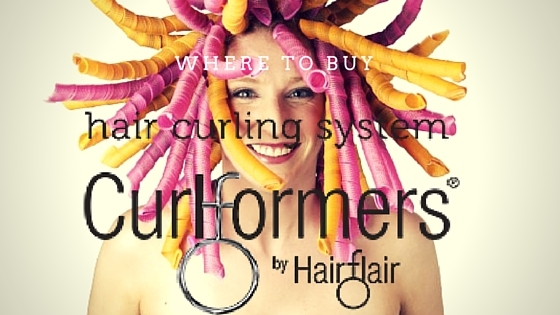 These great pictures were on the Curlformer's website and just give a glimpse into the kind of styles you would be able to create. 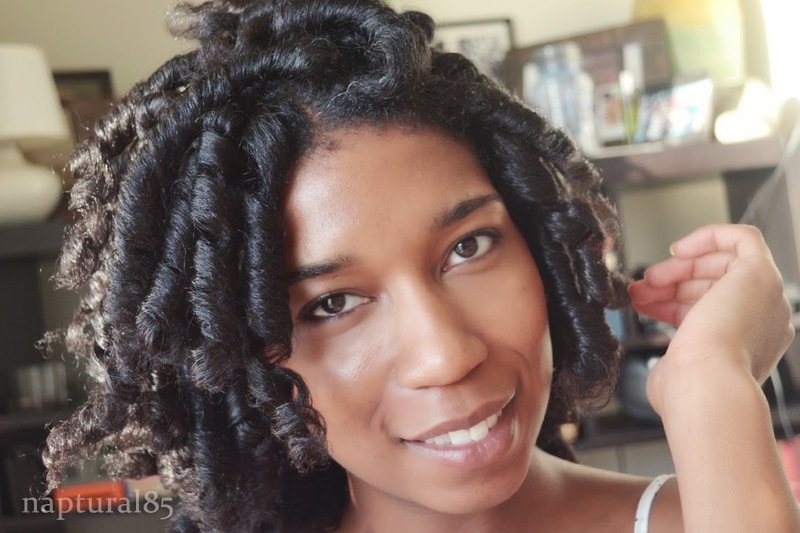 And as you can see from Naptural 85's video below they work just as well in Natural hair as they do on Relaxed hair. Do you know where to find them in store? Another month, another event, Check out Care For Your Hair and their latest hair event at the Royal Holloway ACS, this Friday October 19th 2012! A lovely post by Dawn from 'What Dawn Did in Heels', If it wasn't for Dawn I wouldn't know what concealer was. We love her great makeup videos and look forward to more. You can find her on You Tube and as a newly natural you can also follow her blog which she has just launched. Check out her great makeup videos and follow her newly natural journey. 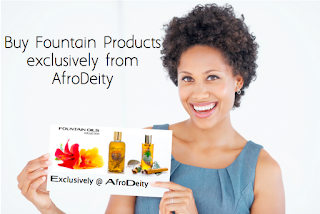 AfroDeity's Online Store now exclusively stocks Fountain Jamaican Black Castor Oil Liquid Hair Food and all the Fountain products. Authentic Jamaican Black Castor Oil (JBCO) will generally be made in the same way, years ago my auntie used to make some for my mum in her back garden in Jamaica. Making it the traditional way by manually grinding the beans and extracting the oil is generally the same across the board. Fountain JBCO is authentic and made in Jamaica. People always complain about the smell of JBCO but with Fountain Jamaican Black Castor Oil Hair Food enriched with Peppermint & Eucalyptus, you dont get that at all. The smell is beautifully minty and I dont need to cover it up with Perfume or add other oils. All the Jamaican goodness is already in the bottle. This luxurious range of oils has me sold! When I rub into my skin as a moisturiser it just sinks right in. However, I am not a great fan of minty products because they sometimes sting a little. Fortunately there is just the right amount of peppermint in this product and I am pleased to say there is no stinging sensation. Yay! What makes JBCO work so well? The ash in JBCO is antiseptic, anti-inflammatory and antimicrobial and contains magnesium, manganese and silica derived from the roasting process. Generally across the board all authentically made Jamaican Black Castor Oil contain ash and if you have ever gotten to the bottom of a bottle of any of the brands the black stuff is evident. One of the main components of both the Jamaican Black Castor Oil Hair Food and the Fountain Pimento Oil is Jamaican Black Castor Oil. The botanicals from this beautiful 100% natural mixture are kept in the bottle. What makes Fountain so different to any other brand of JBCO? Smells wonderful - most people dislike the smell of 100% pure JBCO. Personally I like it but it is not always to everyones taste and if you use too much it does become obvious. Fountains JBCO smells minty rather than smoky. Wont clog pores - 100% pure Jamaican Black Castor Oil is a thick oil. By including Jojoba Oil which is closest to our own natural sebum, Fountain's JBCO is absorbed more easily. The botanicals are kept in the bottle, so the fermentation process continues long after it has been bottled. Okay. So what's in it? Jamaican Black Castor Oil - Provides nourishment, moisturises and stimulates the scalp and rejuvenates hair follicles. Peppermint - Its cooling, tingling effect is a sign that the PH levels of your scalp are being balanced, helping to put a stop to oily hair. Peppermint stimulates hair follicles and promotes hair growth. Jojoba - Adds great luster to hair, as it penetrates the scalp easily, thus avoiding the accumulation of sebum. It provides more shine and softness, while regenerating the hair and eliminating dandruff which helps hair-shedding control. Eucalyptus - Stimulates blood flow and revives dull lifeless hair. Gives your hair shine and leaves it clean smelling and works on new hair follicles to foster hair growth. Whatever brand you buy make sure you use it correctly. Please see our Where to Buy page if you would like to know where to purchase Jamaican Black Castor Oil in the UK and our notes on Jamaican Black Castor Oil overuse. If you decide you would like to purchase Fountain JBCO we are currently their exclusive distributor and plan to always be in stock. Buy from trusted source and get a quality product. Looking forward to hearing from anyone interested in buying this, Email Us! 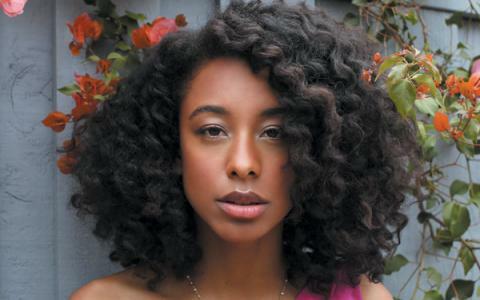 I have a complete hair crush on Corinne Bailey Rae: I just love her twist outs and really want to try this. 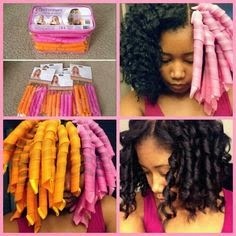 Essence.com had a great post on Celebrity Styles you can do at home. So how do I achieve Corrine's amazing twist out? Start with damp hair possibly best if it is just towel dried. Divide the hair into sections. I personally stick to six sections when I am styling. Detangle from Root to tip with fingers or if preferred a wide tooth comb. 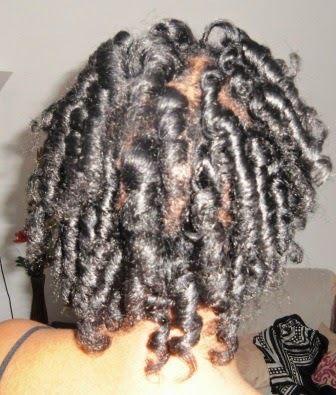 Wait until the hair is completely dry —usually overnight— before removing the twists. Fluff with your fingers for fullness. I have a friend that started to transition to natural hair, now said friend is all about the latest fashion, and she is always the first to have the latest style. A few months ago she out of the blue decided that she was going natural. "Weaves are so passe and being natural is the in thing!" Just last week I spotted her on the high street sporting a weave. I said "what happened" , she confessed that she got to eight weeks post relaxer, and her hair wasn't doing what she wanted and she just didn't feel glamorous anymore. So she got one of those glue to each strand weaves in blonde! The point of this rant is that if you are going to really start a healthy hair journey, natural/relaxed there is no point entering into it half heartedly, it's all the way or not at all. Starting is the easy bit keeping it up is the hard bit. With my friend I can see that she has a mindset that will be difficult to change, she believed her hair was ugly and not good enough. I havent got a problem with the way people choose to wear their hair. I believe in choice whole heartedly. My only concern was my friends lack of love for herself for her own hair. She didn't like the hair that grew out of her own head as it was ugly. Bearing in mind most of it was relaxed, and she even hated her relaxed hair. That made me sad. Take a picture of yourself with your hair as it now and keep it with you as a constant reminder to yourself to keep on the right path. Are you truly prepared for the challenge of transitioning or growing natural or relaxed hair? Will your family and friends support you? Are you doing this for the right reasons? Are you only doing this as the latest fad in a series of latest fads? Keep a Hair Journal - A hair journal is a log of your hair and scalp condition throughout your hair journey. Include, products you used, styles you tried and note those that worked and those that did not. Pictures of your hair growth will help you to see where you were, where you are and help visualise where you want to be. Hair ‘length’ checks are important but hair ‘health’ checks (checking for split ends and protein/moisture deficiency) can be more so. Your hair journal can be digital (a blog) or written in a diary. A journal will also help in establishing a routine. Establish a Routine - A daily or weekly routine keeps you from neglecting your hair. Choose particular days to wash your hair. Moisturise at particular points during the day (for example before bed). Don’t just leave your hair care to random points during the week. Have set days and times to do your hair ‘health’ checks. Monitor Split Ends - Split Ends (Trichoptilosis), are the splitting or fraying of the hair-shaft due to excessive heat and mechanical stress. Although many hair care products claim to repair split ends, they only seal the cuticle giving the appearance of smoother hair. Split ends can only really be stopped by cutting the hair above the split. During your hair ‘health’ checks look for splits end, knots, and dry scalp. Check the ingredients on shampoos and hair care products. Ingredients in mainstream shampoos like Sodium Laureth Sulphate can strip your hair of natural oil. Try Hair Cleansers and Sulphate Free shampoos or add Pre-shampoo treatments to your routine. Pre-Shampoo Treatments - This is an extra conditioning step before you shampoo the hair. Pre-shampoo treatments coat the strands and form a protective barrier over the cuticles to keep the hair smooth. They also keeps the harsh detergents in the shampoo from stripping the hair of moisture. Protein & Moisture Balance. Protein gives the strands strength and moisture gives the strands elasticity. Not enough moisture and too much protein and hair is likely to break when stretched. Not enough protein and too much moisture, hair stretches and does not snap back when pulled. Your hair is balanced if your hair stretches slightly and returns to its original length without breaking. There is no need to "grease" your scalp or your hair. Black hair needs moisture, but products with petroleum makes hair stiff, dry and greasy. However natural oils (coconut, jojoba, olive, or castor oil) are a great for your hair. Moisturise your hair with water based products. Seal the moisture into your strands with a natural oils like coconut or castor oil. Drink water - Moisture is important for healthy hair growth. Inside and Out. Daily heat styling can dry out and damage your hair. If you use heat on your hair daily use a heat protective lotion or spray before applying heat to your hair. Sleep on a silk/satin pillowcase or tie your hair in a satin/silk scarf at night. Cotton is an absorbent fibre that draws moisture. it also causes friction disrupting hair follicles as we move in our sleep. Silk is a smoother fibre and is much less damaging to hair. 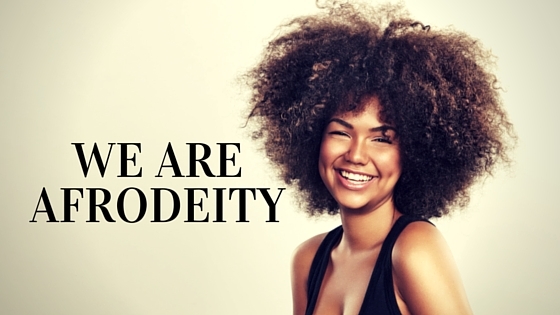 Are you staying relaxed, going natural or doing an inbetween and transitioning. I just wanted to wish you all luck and hope that we (me too) succeed in growing our hair healthy. Steeped in the annals of Jamaican history, black castor oil has been a fixture in many a home, both in Jamaica and the homes of expatriates. Renowned as a hair growth, thickening, moisturizing and conditioner, castor oil, particularly the Jamaican way of processing has been a hair grooming aid & a MUST have for decades! In addition to Jamaican Black Castor Oil's proven medicinal and antioxidant benefits, it has seen an unprecedented resurgence in popularity in the past decade due to it's exposure to a whole new, non-Caribbean audience. Now here's a new, lighter, pleasantly scented Jamaican black castor oil, that won't leave your hair greasy, dense & dare we say it – smelly! Infused with peppermint leaves which is said to be the oldest medication in the world, this amazing liquid hair food is also supplemented with other natural herbs for enhanced benefits. This unique combination gives a cooling effect to the scalp, binds the hair roots & increases blood circulation. The resultingstimulation of your hair follicles culminates in a renewed and reinvigorated hair growth cycle. Cool and refreshing peppermint acts as a regulator and is the reason why your scalp will be so vibrant! 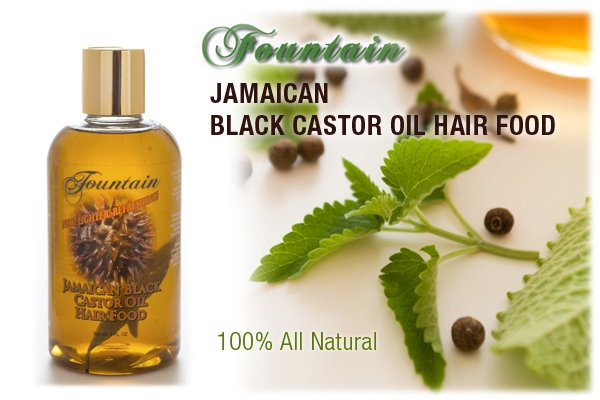 Fountain Jamaican Black Castor Oil provides nourishment, eliminates dandruff, dry scalp, psoriasis and is antibacterial - No more receding temples (hair lines), ladies & some gentlemen, just thicker, stronger and longer hair. Want to know how it is made? Jamaican Black Castor Oil - Provides nourishment, moisturizes and stimulates the scalp and rejuvenates hair follicles. 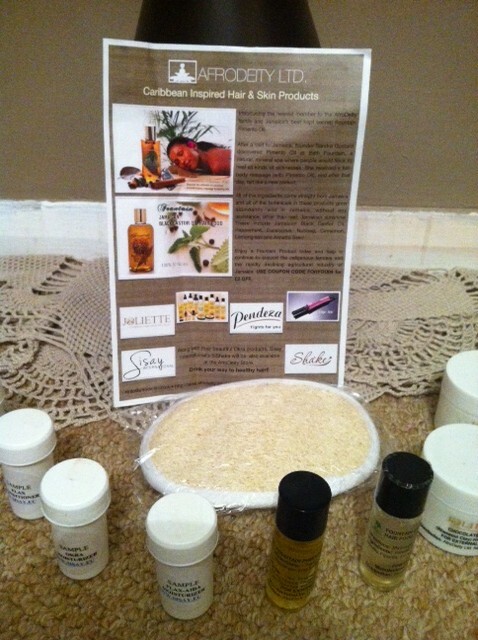 Fountain revolutionizes the Jamaican Black Castor Oil industry! 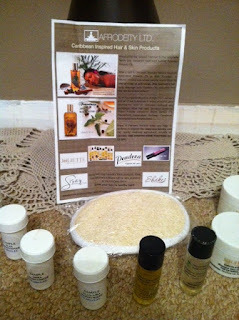 A traditional Caribbean hair delicacy for eons, J.B.C.O. is now universally recognized and scientifically proven as a rapid hair growth and thickening aid. In the ever evolving and competitive hair care industry, J.B.C.O. has seen an unprecedented surge in popularity in the Western world largely due to social media and numerous long/natural hair care forums. All of which expound the benefits of the Jamaican method of processing the castor oil bean as the “go to product” for ALL hair types if you want exponential hair growth. This fact is undisputed, as thousands of YouTube video testimonials and challenges corroborate. However, the No. 1 drawback for many users and potential users of J.B.C.O. is the SMELL, followed closely by the sheer heaviness and it's pore clogging propensities. For some, the promise of longer, stronger, thicker hair is more important than these irritations, but for others, clogged pores leads to painful, unsightly bumps in the scalp, as well as the total destruction of many weaved or chemically processed hair styles as JBCO alters the texture of the hair itself! NOW, here's a new lighter, pleasantly scented J.B.C.O that is still processed the old fashioned way, without salt, chemicals or preservatives. Fountain Jamaican Black Castor Oil LIQUID Hair Food is infused with peppermint, an agreeable fragrance that is synonymous with freshness, clean, cool and energy. Jojoba oil, grape seed oil and eucalyptus complete this powerful and effective synergy. This amazing liquid hair food is noticeably less greasy, leaving no sticky residue OR overpowering nauseating scent! Fountain J.B.C.O effortlessly penetrates your scalp as you can apply directly it from the bottle, without even using a comb to part your hair! In addition, the peppermint leaves, Jamaican in origin are actually visible through the bottle so the ingredients continue to ferment after purchase, further nourishing and cleansing your hair (Peppermint is antibacterial and antiseptic)! Your hair will immediately be softer, luxuriously moisturized and dry, breaking, fraying split ends will be sealed for good! Receding hair lines from tight braids, patchy temples, naturally thinning and slow growing hair will be a thing of the past – how?, because cool and refreshing peppermint neutralizes and regulates the natural density of the J.B.C.O (that's why so many shampoos contain peppermint and eucalyptus for oily hair types!). This unique formulation gives a cooling effect to the scalp, binds the hair roots AND increases blood circulation as it would to any area of the body due to the menthol present in both the Peppermint and Eucalyptus. The resulting stimulation of your hair follicles culminates in a renewed and reinvigorated hair growth cycle. Therefore, cool and refreshing menthol is the reason why your scalp will be so vibrant, a natural enhancement and complementary partner of the miraculous J.B.C.O! So don't be fooled, castor oil is castor oil regardless of the brand once it is cultivated and processed in the traditional Jamaican way. Fountain J.B.C.O does what no other J.B.C.O on the market out there does – it doesn't smell, it leaves your scalp refreshed and clean, it removes dandruff, lice, is antibacterial, relieves headaches, opens up the sinuses, combats mental exhaustion & fatigue, amongst many other soothing benefits. Fountain Jamaican Black Castor Oil, “It's the food your hair's been waiting on”!